If you find a Snake at your working place who you going to call? Did you ever have a Snake at your working place? And if you do, who you going to call? 911? But what if you are police officer? This just happened to the police forces from the Police station in the Gerihun town in Sierra Leone. Not one but more than 400 snakes had occupied this small police station. 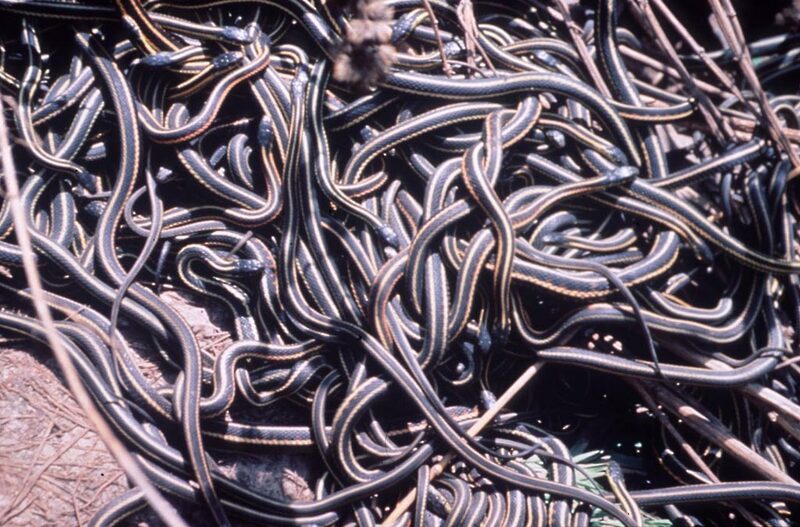 Yes, more than 400 snakes, and No, it is not a terrorist organization; we are talking literally about 400 snakes. More than a half of these snakes were cobras, the most poisonous snakes in this part of the world. After a couple of month’s siege (the snakes are in the police station since January) the police from this station give up and call the army. The snakes were forced outside with water and then shot with an AK-47 assault rifles. The previous attempts with poisons and other meanings were unsuccessful. Nobody knows why the snakes chose this police station for a new home. Some of the eyewitnesses are claiming that the basement of the police station was full with rats which were used for torturing a political opposition, but there are no proofs for such a claim. The most logical explanation about this event is that the police everywhere in the world are full of rats! In the Army operation, more than two hundred snakes were killed. The rest of the snakes escaped in the near building where one of the most popular political parties has a headquarters. In this moment the snakes and the politicians are living in harmony and happiness. We have no worries for the politicians; we are more worried for the snakes.